However, the official stats that have been put forward by some senior journalists such as Rajdeep Sardesai from India Today, Pankaj Jha from ABP News and by the Chairman of All India Power Engineers Federation Shailendra Dubey contradict PM Modi’s claim. These tweets claim that according to official statistics, the power supply on Eid (6 July 2016) was 13,500 MW while the power supply on Diwali (28 Oct to Nov 1, 2016) was 15,400 MW per day with a 24 hours supply on all 5 days. 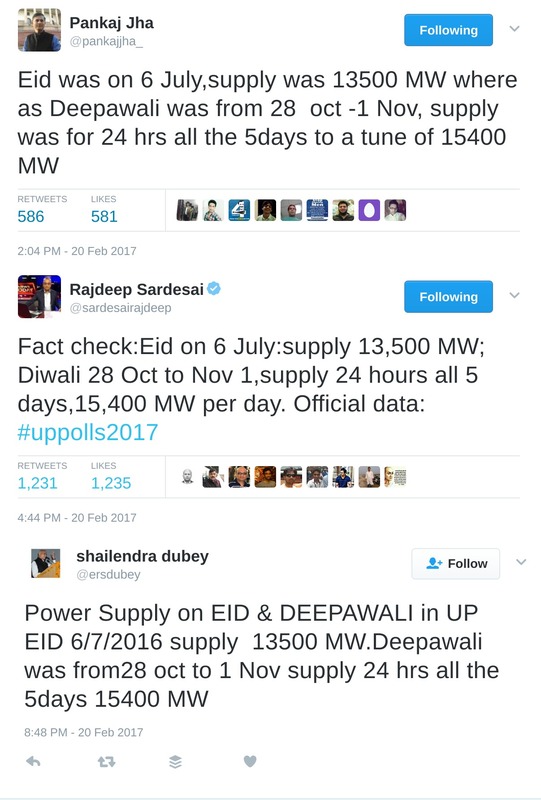 These statistics clearly show that not only was the power supply not deficient on the days of Diwali, but in fact was more than Eid. 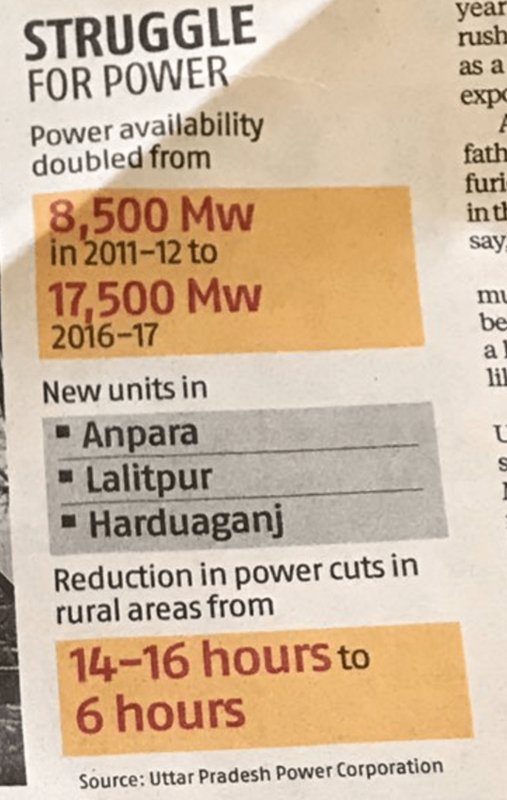 Also, even though Uttar Pradesh remains a power deficient state, according to official statistics of UP Power Corporation quoted in a report by Business Standard, the power generation in UP under Akhilesh Government has grown by over 100% from 8500 Mw in 2011-12 to 17,500 Mw in 2016-17 and the power cuts have reduced from 14-16 hours to 6 hours. Meanwhile, more people have responded to PM Modi’s communal statement and we have combined a couple of video responses in the following video. Two video responses to Narendra Modi's communal statement in BJP's rally yesterday. Do watch. It is unfortunate that Narendra Modi resorted to a strategy of communal polarisation while being the Prime Minister of India and having come to power with the slogan “Sabka saath, sabka vikaas”.